viaLibri ~ An account of the Pelew Islands, situated in the Great South Sea. An account of the Pelew Islands, situated in the Great South Sea. Composed from the journals of Capt. Henry Wilson and his officers; who, in August, 1783, were there ship-wrecked in the Antelope Packet. Stanford, New York : Daniel Lawrence, 1802. 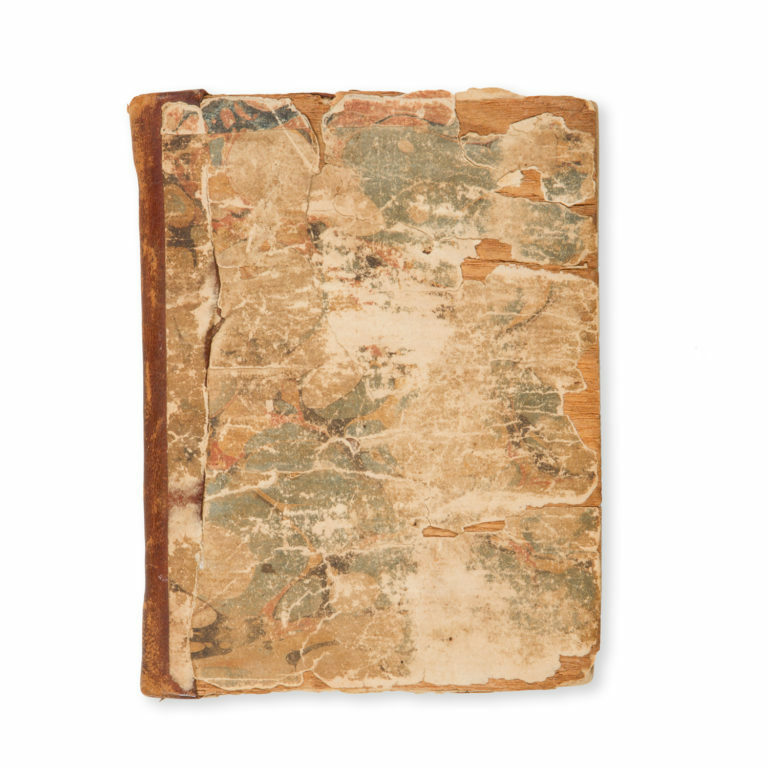 Sextodecimo, primitive publisher's binding of quarter-roan over marbled papered boards over wood (worn), inscriptions to endpapers, pp. 131; iv, internally fine. Provincial New York state imprint, being a reprint of the Wilmington edition of 1794 of Keate's well known work on the Pelew Islands first published London 1788, presented here in the unsophisticated original binding. Shaw &​ Shoemaker, 2478; Hill 912.